I’m greatly intimidated by the Japanese cover. 16-bits of raw power, courtesy of God and the elements. 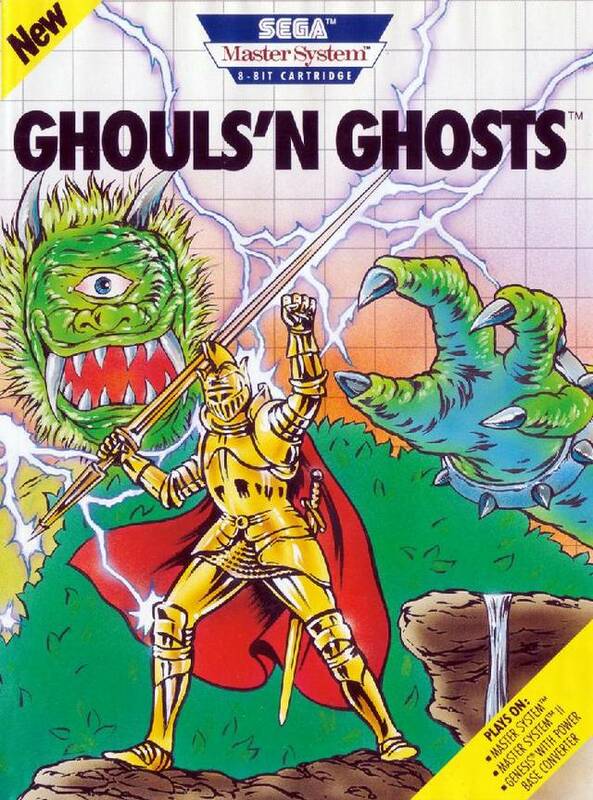 With all respect to Phantasy Star II, Ghouls ‘N Ghosts was the landmark title for the Genesis in 1989. Besides being the first Capcom game on any Sega system, the Genesis version was the best looking, best playing port of the arcade game and fully justified Sega’s claim that playing the Genesis was akin to the arcade at home. The demonic difficulty certainly ostracized those not willing to virtually flagellate themselves through limitless Game Overs, but even today, Ghouls ‘N Ghosts rich Gothic visuals and unrelenting action still hold up next to later platformers on the console. You control Sir Arthur, a knight tasked with taking on the Prince of Darkness and his evil minions. Arthur’s an interesting bloke. Despite what appears to be strong armor, one hit will rip it off and leave him trembling in his skivvies, while one additional hit turns him to bones. The game occasionally graces you with golden Magic Armor, which allows you to perform magic attacks that differ depending on the weapon you’re holding. The armor is elusive, however, and can only be found in treasure chests. Arthur begins his adventure with a sword (looks more like a lance to me, but hey) to skewer all manner of Grim Reaper, Depraved Vultures and Vomiting Pigs. Other weapons like Fire Water, Axes, and Daggers eventually make their presence known, but the sword remains one of the best weapons in the game, due to its flexibility and speed. That said, boss battles will sometimes be more easily won with different weapons. Experimentation is key. If you’ve never played Ghouls ‘N Ghosts or any other Ghosts ‘N Goblins game, imagine a platformer with the pace of a shoot-em-up. This might sound like a refreshing amalgam, but Capcom doesn’t get the blend right. 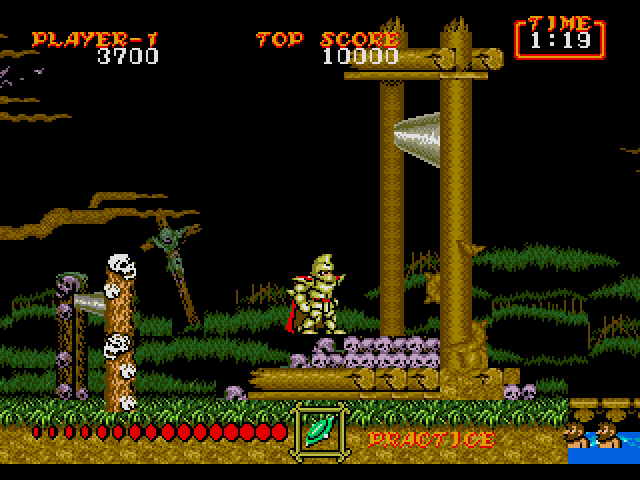 Enemies are ruthless and surround you with little room to maneuver, while Arthur’s sprite is large and slow. As with shoot-em-ups, enemies constantly emerge and re-emerge out of the dark landscapes, but since Arthur can’t navigate around the entire stage like a ship could, you have to be constantly alert and/or lucky to avoid the majority of the chaos. The Tower that Leans and Stuff. To its credit, Ghouls ‘N Ghosts has some incredibly innovative stage portions and outlandish boss designs. Few will forget riding the tongues of the gargoyle statues in the Horrible Faced Mountain (actual name), sliding down the sides of the Crystal Caves, or avoiding the bouncing Rock Turtles in the Village of Decay. The multifaceted Worm is one of the most challenging bosses I’ve ever faced, while the final boss – Satan himself – is a massive beast bigger than the screen itself. If you’re interested in Ghouls ‘N Ghosts but aren’t sure if you can take the oppressive beatdowns, I highly recommend a Youtube runthrough. If nothing else, you’ll be able to appreciate Ghouls ‘N Ghosts visual splendor in peace. That’s one tasty lick too many for Arthur. 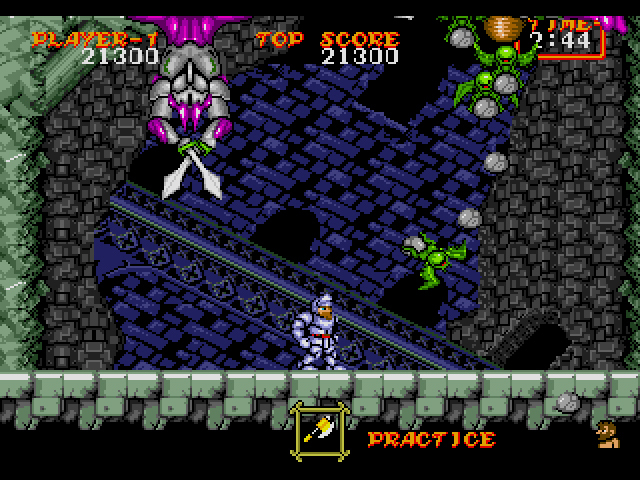 I’ve tried repeatedly to delve into Arthur’s sordid world via the original Ghosts ‘N Goblins, Super Ghosts ‘N Goblins, and now Ghouls ‘N Ghosts, and I just don’t get the same enjoyment that others do. Yes, the game’s aesthetics are top-notch, but the game contains some of the hardest, cheapest platforming found on a 16-bit console. Enemies appear out of nowhere. Arthur, the main protagonist, is a weakling in knight’s armor with unintuitive controls. Trying to venture forward with caution? Forget it. The stages have a strict 2-3 minute time limit. 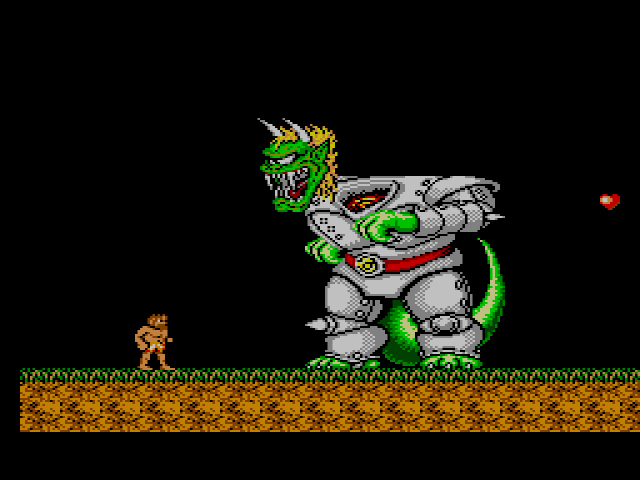 And just like Ghosts ‘N Goblins, you have to beat Ghouls ‘N Ghosts twice, and the second time is harder than the first. If you’re committed to Arthur’s cause, you’ll beat the game eventually, thanks to the unlimited continues. Even with this generous concession, Ghouls ‘N Ghosts is less a game to enjoy than a trial to endure. Sounds like hell to me. Based on the comic book! 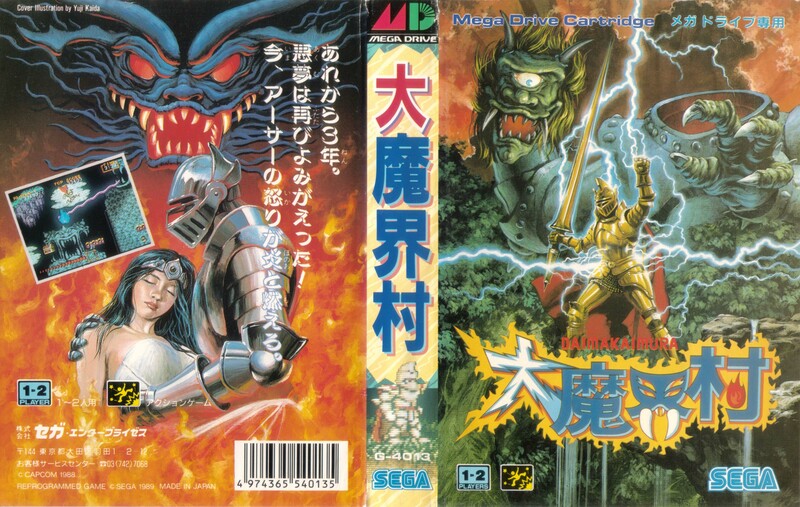 If Ghouls ‘N Ghosts for the Genesis is Cannibal Corpse’s ‘The Bleeding,’ then its Master System counterpart is Metallica’s ‘Black Album.’ They’re both classified as metal, but they’re worlds apart in tone and edge. Make no mistake, though: Master System Ghouls ‘N Ghosts is a considerable technical achievement; so much so, that in order to get the game to run, Sega had to sacrifice much of the challenge. 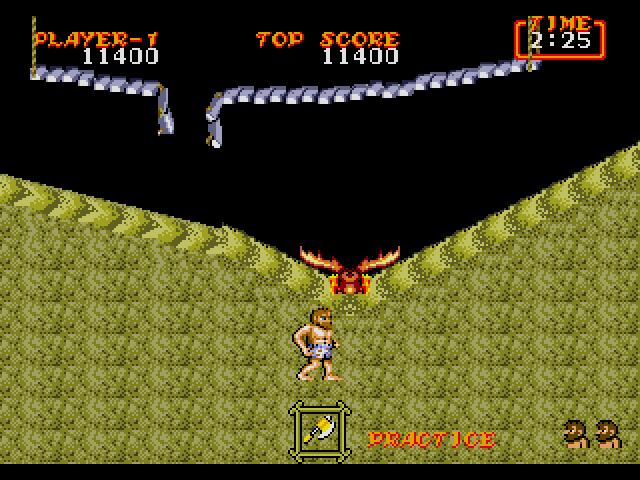 The areas are sparse, despite being divided up into two stages and a boss fight rather than the long thoroughfare found in the Genesis version. Enemies emerge infrequently. Certain sections, like the bouncing head portion in Level 2, have massive slowdown, despite the relative lack of on-screen activity. There are also secret areas (accessible only by destroying a treasure chest) where you can upgrade different pieces of your armor for additional health (Red Armor as opposed to Gold), even though you won’t really need it. And for the knight that has everything: brand-new magic spells that range from stronger attacks with Arthur’s current weapon to regenerating armor. All of the aforementioned adds up to one smooth ride through the underworld. If you’ve had any experience with platformers, you’ll have the Prince of Darkness pulverized by brunch. Just as freaky in 8-bit. And is that such a bad thing? Ghouls ‘N Ghosts for the Master System certainly isn’t the essential experience for diehard fans. But for those who waver on the series’ obnoxious difficulty, this port might be the only way to enjoy the game’s otherwise ghoulish sensibilities. My first experience of the series was on Capcom Classics Collection on my PSP. I love the reputation of the game but its not one of my favorites. It’s gotta be the biggest kick in the teeth in gaming history to slug your way through this insanity and then find that not only have you not actually beaten the game, but you have to play through the entire thing again only harder. I guess I can kind of see it as a “Well it separates the men from the boys” type of thing but it also feels like a cheap way to extend the game. So cheap that I don’t think it was attempted again much after this. It’s certainly frustrating, at any rate. I remember renting this when I first got my Genesis. Definitely a difficult game. I’ve never been a huge fan of the series although it is nice looking. I haven’t had much experience with the Genesis conversion of Ghouls ‘N Ghosts, save for a bit of emulation, but can speak from experience with the arcade version that it’s an easier game than its NES and arcade predecessor, though that’s like saying it’s easier to bench press a half-ton pickup than a 3/4 ton pickup. I like your analogy of a platformer with the pace of a shoot-em-up. I think that’s fitting, and you’re right, because Arthur moves so sluggishly, it seems as though all odds are against you, and the enemy forces are so relentless that it belies that shmup/platformer marriage somewhat. Most shmups have a finite number of enemies per stage, but in the GNG series, you often get near-infinite respawns of zombies and some other creatures, so it forces you to keep moving, lest you fall to your death. I enjoy a challenge in my games, but this is masochist-level difficulty, and unless you’ve honed your action platformer skills to the level of “Jedi”, you’re probably going to end up breaking a controller, crying in your pillow, or in intensive therapy before completing this game through 2 loops. It’s too bad, because the series did improve as time went on, with each game getting slightly easier and the mechanics more refined, so eventually, Capcom would have found a good balance for those of us who don’t thrive on getting our backsides handed to us. Incidentally, the free Android game Maldita Castilla is perhaps the GNG game Capcom never made. It’s a total homage to the GNG franchise, but gives the protagonist a generous 3 hits before he expires, and offers tighter control. It’s playable with a controller as well, because it was feature on the Ouya shop. Kudos on the metal references. Granted, Cannibal Corpse is a well-known name, if for no other reason than the infamy of their album covers, but the fact that you know enough about the 2 bands to make a pretty good comparison between the 2 bands and the 2 games is impressive. I’m not a bit CC fan, but am a huge fan of metal of all kinds, so reading that kind of juxtaposition within the context of a video game review always makes me smile. Keep up the good work. Hey Josh, thanks for the comment and the compliments! I’ve always wanted to enjoy the Ghosts ‘N Goblins series, and while there are elements of the games that are incredibly well-done, the intense challenge is a huge turnoff. I’ll have to check out Maldita Castilla, as I’ve never heard of it. Shame Capcom doesn’t try and resurrect the GnG series today on PS4 or something. I have a feeling young Dark Souls fans who’ve never heard of the games would love them. Yes, the Dark Souls faithful would probably get a kick out of the punishing challenge provided by the GnG games. Many of the younger gamers have probably heard the buzz term “Nintendo hard”, but few modern games really exemplify that, and this series in particular goes above and beyond that moniker, making it among the most difficult games of the 8 and 16-bit eras. The pacing is a bit different than the Souls games, but I suspect most would adapt quickly to a new, prettied-up GnG adventure with that kind of soul-crushing difficulty. Till I gather my thoughts on what I want to say about this game. I’d point out that I hear Matilda;s castle looks amazing. It’s supposedly one of the best Ouya games. It’s a definite throwback to Ghosts and Goblins type of games. I hear it’s also hard. I’ve been waiting for someone to port it to a console like other Ouya games like Eliot Quest (Wii U port) have gotten. If the question were asked of me, which Classic Capcom series would I most like to see return, the answer would undoubtably be Ghosts and Goblins. That statement needs to be said first to put the rest of my comment in perspective. It’s possible I may have played the original Ghosts and Goblins in the arcade before playing Super Mario Bros. It’s one of my favorite series of all time, quality of the most recent entries haven’t changed that too much. For background I am one of those people who really loved the NES ghosts and goblins. It made me rage. I spent a whole summer beating it with my friend. Fiendishly hard and punishing yes. But very rewarding. There may have been actually physical violence involved when we were playing the game and got into an argument and I reset his game on the last boss once. Anyway, one pf the showcase preview games at the time before the Genesis launched was Ghouls and Ghosts. First the graphics were unlike anything anyone had seen on a home console. They showed these towering bosses, and detailed spooky enemies, and awesome looking magic attacks. Second, this was a bonfires Capcom triple A game on a Sega console. It gave me faith that the system wouldn’t be left out of third party properties like the SMS. The one game I was going to pick up at launch when I got a Genesis was this game. And this game was the main reason I got a Genesis at launch. So to me this even now is one of top 10, almost top 5 Genesis games of all time. I’d rate it an A+. It improved on the original in almost every way. It was basically identical to the arcade. And it was fun. This game is not nearly as hard the first entry. In fact it’s quite easy to beat, it didn’t take me long at all, and the second play through is not really that hard as well due to the extremely powerful weapon you get to defeat Loki. It has a reasonable difficulty level for that era of Platformer. Also the ability to shoot up greatly improved your survivable try. The red armorers (gargoyle’s) were a constant source of frustration in the first game. In this game they are so much more manageable and easy to beat. I’d have a hard time saying this is super hard. I was not disappointed by this game and to this day is one of my favorites. I’d say until revenge of Shinobi, was the primary reason to get a Genesis. I believe this game one multiple game of the year awards.nid recommend it in a heartbeat. As always, Sean, I love your takes on games. We might disagree, but I have great respect for your perspective. 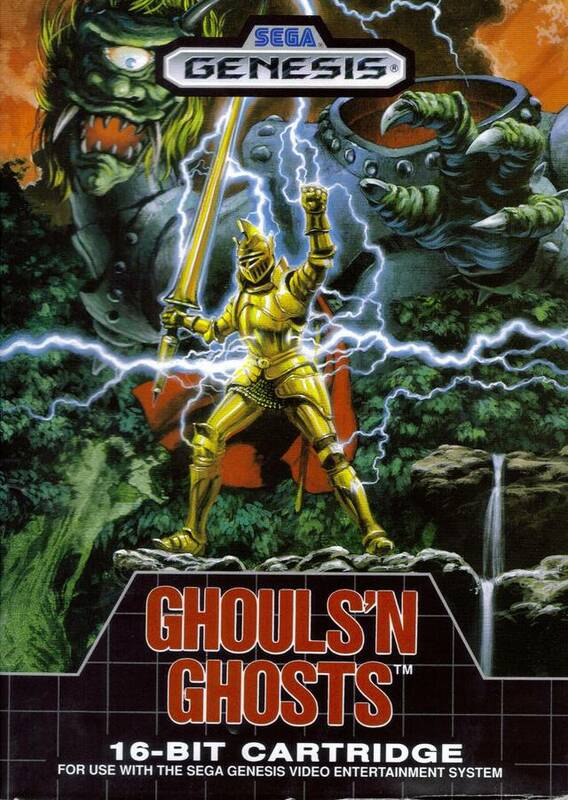 I’ve actually only played the SNES and PSP games, which I found dishearteningly difficult, but a formative experience was seeing Ghouls ‘n’ Ghosts demoed in the Toy World where I chose my first ever SMS games back in 1990. I couldn’t believe my eyes. From a distance, the GnG games are a sight to behold.